Need more information about booking Home 84089 ? This stunning, modern, two bedroom apartment is located just a 5 minute walk from the centre of the popular tourist village of Oroklini with its many restaurants, tavernas, bakeries and shops. 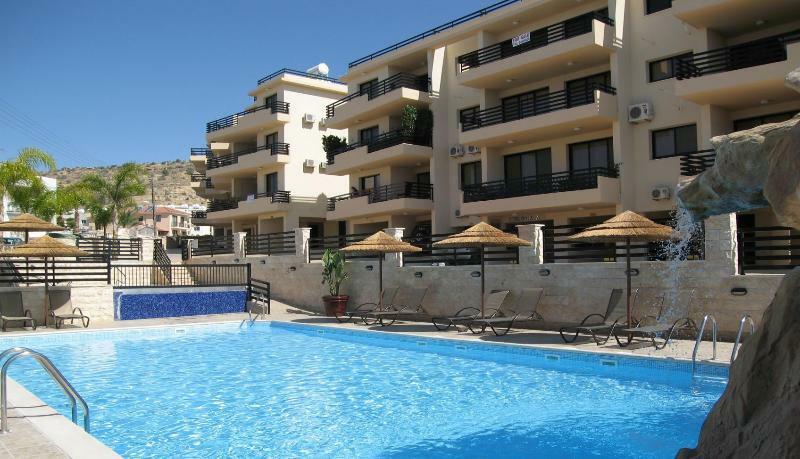 This spacious apartment comfortably sleeps six and is close to all local amenities, beaches, airport, and Larnaca town centre making it the ideal place for a fun family holiday. The apartment is fully equipped for day to day living. We have Android TV for streaming films and shows via the internet plus a large selection of DVDs. There is also an XBox with a variety of games which are available to our guests. High speed unlimited WiFi internet access is provided free of charge via a Wireless Internet Access Router. The apartment has a water cooler and the bottles can be re-filled from a number of drinking water dispensers located in the village. The apartment is fitted with fly screens on patio doors and bedroom windows to allow a cooling breeze at night without the bugs. Flat panel electric heaters have been installed for the winter months. There are no hidden extras for air con or electricity etc.. The apartment is located on the second floor and access is either by stairs or lift and is about a 5 minute walk to the village so the shops, tavernas and restaurants are close by. There is a local blue flag beach at Dekelia and also a blue flag beach at Larnaca. We have two young children so you will find the apartment, the complex and the village very child friendly. There is a travel cot, a high chair, a travel steriliser (microwave type) and a baby walker available plus a number of children's DVDs, all which you are more than welcome to use. The pool area has a separate shallow pool perfect for babies and toddlers. In addition to the fabulous beaches and long, hot summer days this area is also a popular winter destination with skiing possible from January to March in the Troodos Mountains, within an hours drive. Terms And Conditions apply and are provided on enquiry. Payment can only be made via the TripAdvisor website. A 25% deposit is required to secure the booking. We would ask for the balance eight weeks prior to departure. A refundable security deposit of £200 is also required against breakages and damage. This will be refunded within 10 days of the apartment keys being returned, provided everything is found to be in order after checking the apartment inventory. The refund is returned via TripAdvisor. Bedroom 1 has a double bed, bedroom 2 has twin beds. Both bedrooms have fitted wardrobes with drawers. One hair dryer is provided. The kitchen is fully fitted with granite worktops and appliances including hob, cooker, fridge / freezer, washing machine, microwave, kettle, toaster, iron and ironing board. The balcony includes a table with seating for 6. Sheets, blankets and bathroom towels are all included and the property is cleaned between changeovers. Beach towels are not provided . Smoking is permitted on the balcony only. Vaping is allowed within the apartment. Pool side loungers are provided. Access via lift - suitable for wheelchair users. We will arrange for directions and other useful information to be sent out to you . A welcome pack with milk, bread and other essentials will be in place for your arrival. If there is anything specific you need to be in the apartment for your arrival, please let me know. You will be met outside the apartment complex by a representative of our property management company with the keys. If you are not hiring a car on arrival, Taxis are available from the airport payable locally to the driver. If you require a seven seater or a vehicle with wheelchair access, please let me know so I can make arrangements in advance. Estimated price per night based on a weekly stay. Owner fees of $130.00 per stay may apply. Enter your dates to see the total cost.